Today developer extreme has released a new homebrew named 4.05 UI Mod Alpha v0.13 for the Playstation 4. Check out the release notes, changelog and the download link provided below. Info: The Games folder in the Home Menu appear if you have installed CUSA00851 and the app.db work only if your System Language is English (United Kingdom) or French. Trophy Edit will not work if you have earned Trophies already. 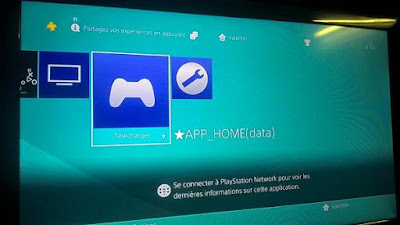 GAME Launcher and APP_Home(data) appear if you have installed GTA V Disc (CUSA00411) and OMSK (NPXS29005). PSN User Avatar is only for a PS4 with PSN User. Note: This Mod is not 100% complete on 4.05 yet, TV & Video icon and Internet-Browser icon is not changed. Thanks to Simple Person and valentinbreiz for dumping app.db and testing.